COS and Serpentine Galleries have teamed up for this summer’s edition of Park Nights, an annual series of live art, dance, poetry, music, film, literature events staged at the Serpentine Pavilion. The series kicks off tonight with artist and cinematographer Arthur Jafa hosting an evening in response to his summer Serpentine exhibition A Series of Utterly Improbable, Yet Extraordinary Renditions. Other confirmed artists for this year include: Bouchra Ouizguen & company, Tamara Henderson, Black Quantum Futurism, Shen Xin, Eleanor Antin, and Joseph Grigley. 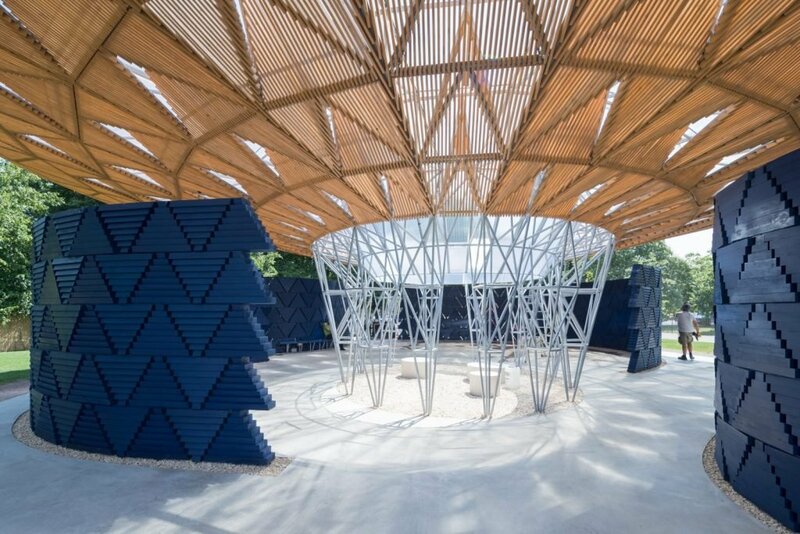 The new pavilion space was designed by award-winning architect Francis Kéré, who based the idea around a tree that that used to serve as a meeting point in his home town of Gando in Burkina Faso. The events take place on selected Friday evenings from 30th June until 22nd September. You can buy tickets here.